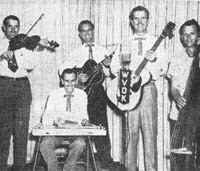 In the Cowboy Songs issue of June 1955 we read that when WVOK went on the air 'nearly eight years ago', the Dixie Jamboree was born, which means around 1947. The show was an hour and a half presentation at noon on Saturdays. 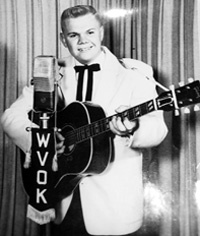 Then it was sequeled on Saturday nights when Dan Breann (producer / emcee) presented another show at the Birmingham National Guard Armory. After the Saturday night show, rounds of square dancing followed. Othell Sullivan and his Radio Pals usually did the musical chores for that portion. 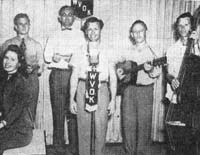 Other acts of the Jamboree also played Saturday night gigs at National Guard Armory and Legion Halls throughout Northern Alabama. One of the unique aspects of the show was a "Talent Finding Contest" conducted by Dan Brennan about once a year. It was known to attract talent from around the state and introduced the audiences to some great new artists. 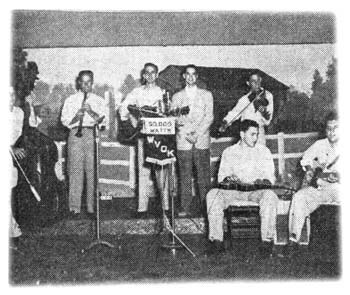 The mainstay of the Dixie Jamboree was Othell Sullivan and the Raido Pals. And wouldn't you know it, they were first place winners in the 1951 "Talent Finding Contest." 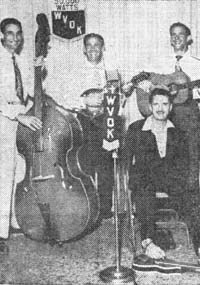 Another popular act was that of the Brewster Brothers and steel guitarist, Ray R. Myers. Mr. Myers had a unique way of playing the instrument as he was born without arms. Fans flocked to see the group and Ray play the guitar with his feet while accompanying the band. On top of that, there was usually a big run for the exits after the show. Why? They wanted to see Mr. Myers drive! Yes, he was the nation's only licensed automobile driver at the time who was born without arms.